﻿What Happens When You Die? 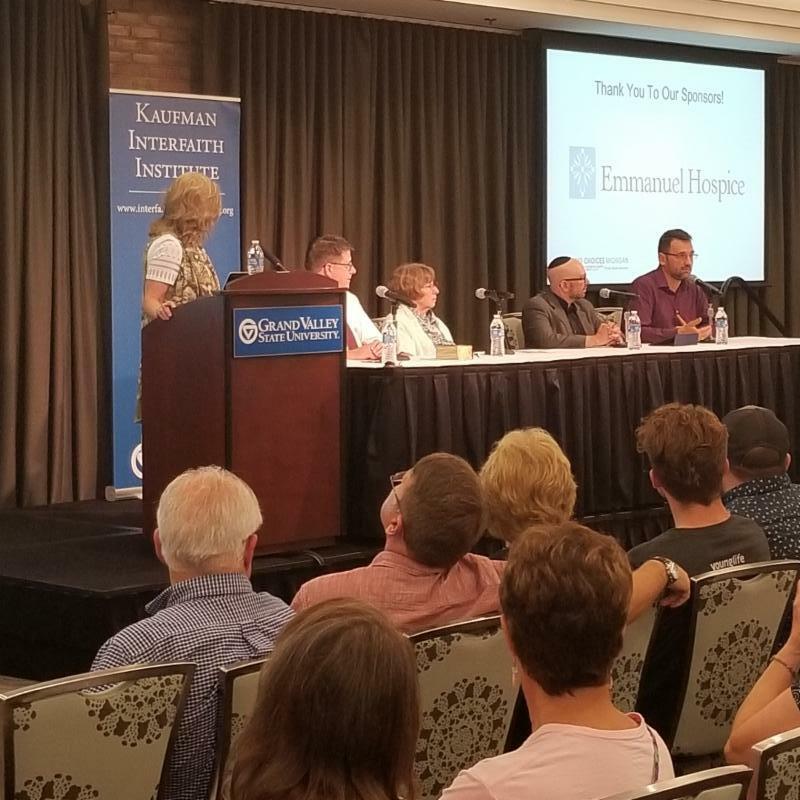 In October, Grand Valley State University's Kaufman Interfaith Institute and MCM co-hosted two evenings to present interfaith dialogue regarding What Happens When You Die? An interfaith dialogue on the theological underpinnings of the meaning of death. The Kaufman Interfaith Institute is committed to facilitating mutual respect and greater interfaith understanding in West Michigan and beyond through community and campus programming. Since 2016, MCM has been intentionally active in the interfaith community to normalize the advance care planning (ACP) conversation within religious/cultural/spiritual norms. The longterm goal is not only to increase ACP engagement, but also to enhance the knowledge base of healthcare providers and hospice agencies as they care for those of different faiths at the end of life. The event panelists represented the faiths of Judaism, Islam, Baha’i, the Church of Jesus Christ of Latter-Day Saints, Hinduism, Buddhism and Sikhism. Each of the traditions represented described specific practices that accompany one's end of life, helping the general public and healthcare providers understand what is required or expected as persons of these faiths near end of life and after they pass away. Stay tuned for more interfaith panels in the new year! Still looking for the perfect holiday gift? Consider reading the book “Being Mortal: Medicine and What Matters in the End” by Atul Gawande MD, MPH. What is the gift, you ask? The conversation you have with your family and loved ones after you read the book! ﻿Over the past several years, one of the most common questions we hear is “how do I begin the conversation?” or questions about how to “sort out” what is most important to a person. What can often result is procrastination. People know this the conversation is important, but are too overwhelmed or confused to begin. Unfortunately, the general public are not the only ones delaying the conversation. In Being Mortal, Dr. Gawande explains that in his medical training, he has struggled with the fear of not being able to “fix” a problem for a patient, even when he knows the odds are not good. Becoming educated helps people better communicate with their healthcare team about what matters most to live life well. Our dialogue facilitators will be Dave Kampfshulte M.Ed. 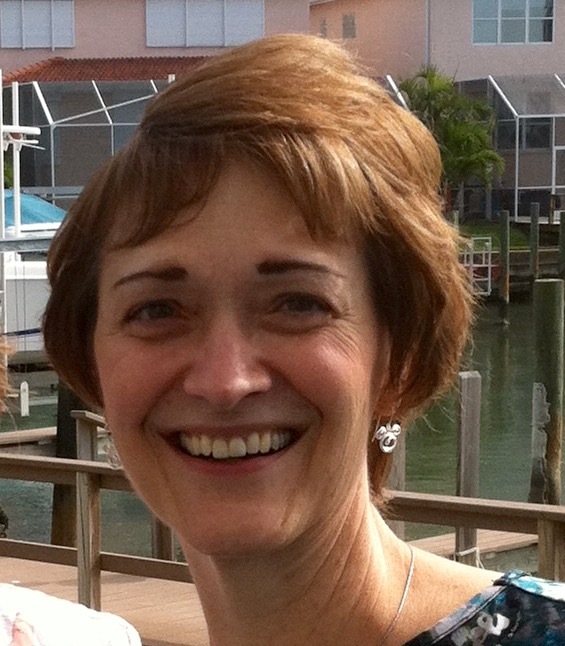 and Carol Robinson DNP, RN. They will provide an open, non-judgmental dialogue space to help participants connect with characters in the story, which may lead to shared experiences, acknowledged feelings about being mortal, and how to have a meaningful conversation with healthcare providers, family and patient advocates. Come join us as we discuss #WhatMattersInTheEnd. Rose Seavolt, BSN, RN, CCP (Chronic Care Professional) has been a supporter of Making Choices Michigan and a member of the Making Choices Michigan Steering Committee for 4 years. She joined forces with Making Choices Michigan in the Spring of 2018 to support a desire to bring advance care planning conversations to individuals across the health spectrum. Rose co-instructs First Steps® Facilitator trainings, facilitates conversations for participants and has conducted various webinar trainings that further support our volunteers and community facilitators. Rose has extensive clinical and care management experience with individuals across the lifespan from neonates to geriatrics within in-patient, out-patient and community settings and has held various education and leadership positions in various health systems and venues. Her experience includes 17 years in a Level 1 trauma center which has contributed to her passion and expertise in facilitating conversations and developing processes and materials to aid in comprehensive advance care planning for facilitators, individuals and their loved ones. Rose is certified as a Respecting Choices ® Next Steps Organization Faculty through CTAC- Innovations, Respecting Choices Division. She is certified as a facilitator and instructor in all three stages of the Respecting Choices model of advance care planning. Rose was instrumental in the development and embedding of each of the three steps of advance care planning within Spectrum Health and the greater Grand Rapids area. Additionally, she actively contributed to the development of the Respecting Choices Shared Decision Making in Serious Illness (SDM-SI) curriculum for provider professional development. "Working with Making Choices Michigan, a community based program, is rewarding to me both personally and professionally. My vast and varied experience in nursing is utilized to increased understanding and discussion with those participating in advance care planning. Watching individuals “light up” with the understanding that they have choices brings immense joy. Assisting them in identifying and articulating their goals and then clearly recording their choices to meet them is humbling and gratifying. I count it a privilege to be a part of these intimate conversations and participate in the training of skilled facilitators. I continue to absorb “pearls” from individuals, loved ones and others I interact with in this body of work. I look forward to all we can accomplish." Despite all of this progress, there are still many places and populations in our community that do not have access to the advance care planning process. In fact, only 30% of Michigan residents have even had a conversation about their goals and preferences for healthcare! By collaborating with other nonprofits, faith and belief groups, advocacy organizations, and neighborhood associations we ensure that advance care planning education and conversations are free and accessible to everyone in our community.